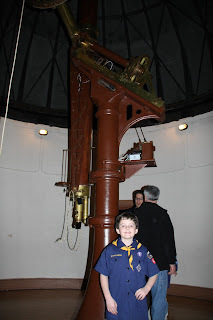 We went to the Cincinnati Observatory with our Cub Scout Pack. 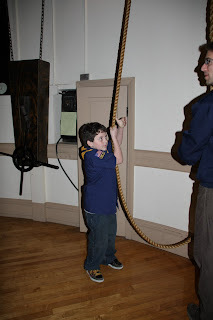 Ryan loved it. 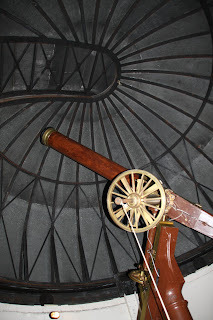 They saw a telescope almost 130 years old and then the newer one. 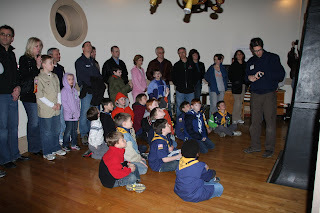 They saw how they open the ceiling and how to move the whole dome. Ryan got to close the dome at the end and thought that was the greatest! 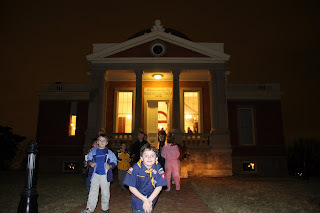 Unfortunately it was too clouded to see Venus, but we learned a lot and had tons of fun. That sounds like such a cool trip. That would have been a wonderful trip! wow! I love looked thru telescopes at the sky. 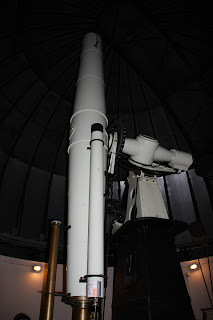 I took astronomy in college and got to look thru huge ones! It was so very cool! That stinks it was too cloudy though. Ryan looks like he had a lot of fun. That's neat he got to help otu. Sounds fun! I haven't been there in years.